Vágar (Danish: Vågø) is one of the 18 islands in the archipelago of the Faroe Islands and the most westerly of the large islands. With a size of 178 square kilometres (69 square miles), it ranks number three, behind Streymoy and Eysturoy. Vágar region also comprises the island of Mykines. 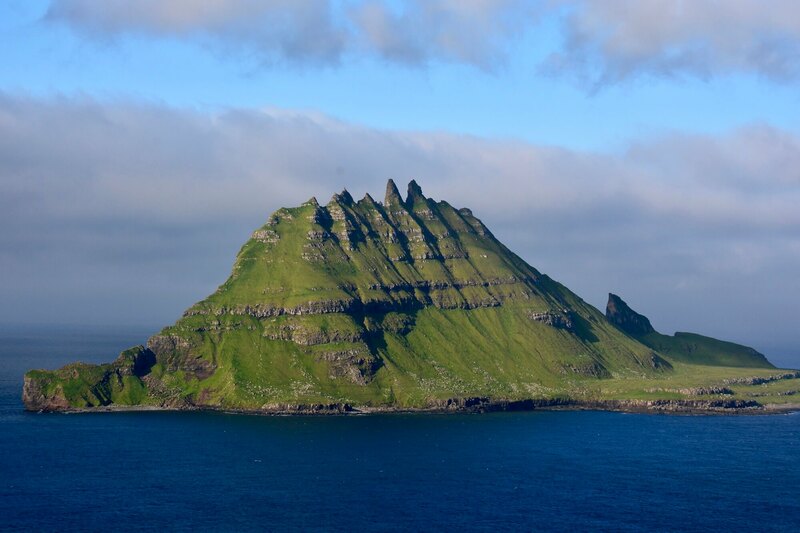 The Vagar island shape is very distinct, since it resembles a dog's head. Sørvágsfjørður is the mouth and Fjallavatn is the eye. Vágar is the first port of call for most foreigners travelling to the Faroe Islands, as it is home to the islands’ only airport, Vágar Airport. An airfield was built there during World War II by the British, who occupied the Faroe Islands with the islanders' consent. After the war it lay unused for about 20 years, but was then put back into service and expanded/modernised as required. It handles about 170,000 passengers a year. Such large numbers by Faroese standards put a considerable strain on transport facilities, with the result that a road tunnel (Vágatunnilin) measuring 5 km (3 mi) in length and running under the sea now connects Vágar with the two largest islands in the Faroes and thus the capital Tórshavn.